We made this brunch meal a few weeks ago and it has stuck with me as one of the most satisfying meals I’ve had in a long time. 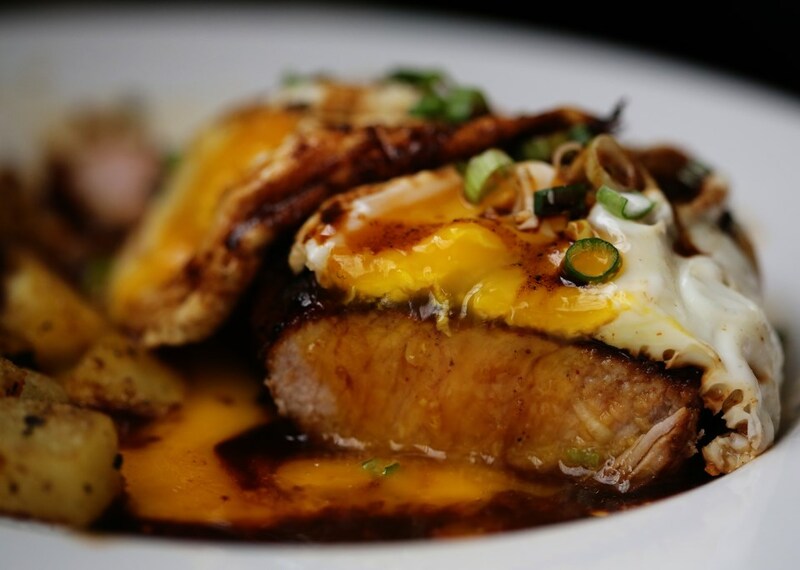 A salty/sweet glazed pork chop with home fries and a fried egg – the perfect brunch! The pork recipe comes from Serious Eats and we followed it to the letter. 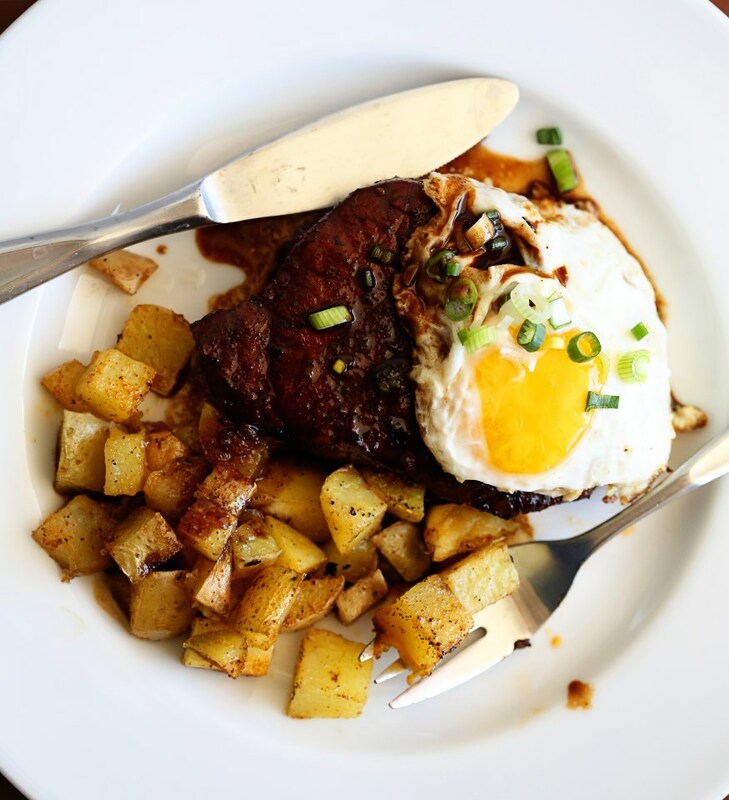 So I will give you my home fries recipe, here, and let you follow the Serious Eats link to make the rest. This was just as good as any brunch you might get on Sunday at a nicer restaurant and best of all – it only took about 30 minutes! Serious Eats is one of our favorite sites for recipes. There are certain, very popular sites (don’t want to drop names but it starts with a M and ends with an artha Stewart dot com) that don’t have reliable recipes. You can tell when a recipe has just been thought up but not tested thoroughly. Not so at Serious Eats. You can bet that each recipe has been done a few times and you can rely on the promised outcome! That’s another thing I love about writing this blog and reading most food blogs – the author is posting things she has literally tried at home! So even if something goes wrong here or there, you can ask questions in the comments and be a part of the unofficial test group in helping to refine the recipe! And I hope you all who read my blog will tell me when you hit road bumps. I’m learning every day how to be better at this craft and it’s not helping me one bit if you stay silent when a recipe goes wrong for you! Scrub the potato and dice evenly into 1/2″ square dice. The more evenly you chop, the more evenly your potatoes will cook! Heat a large saucepan filled with water over high heat till boiling. Drop the potatoes and cook until partially cooked – still a little firm, but getting softer on the outside when pierced with a fork. Remove the potatoes and spread out on a cookie sheet lined with paper towels and pat the potatoes dry. Heat the olive oil in a non-stick skillet over medium high heat until it shimmers. Season the potatoes with season salt and pepper and toss in the skillet. Let them brown evenly on each side and then remove from heat, adjust seasoning as you wish and serve with pork chops and a fried egg! 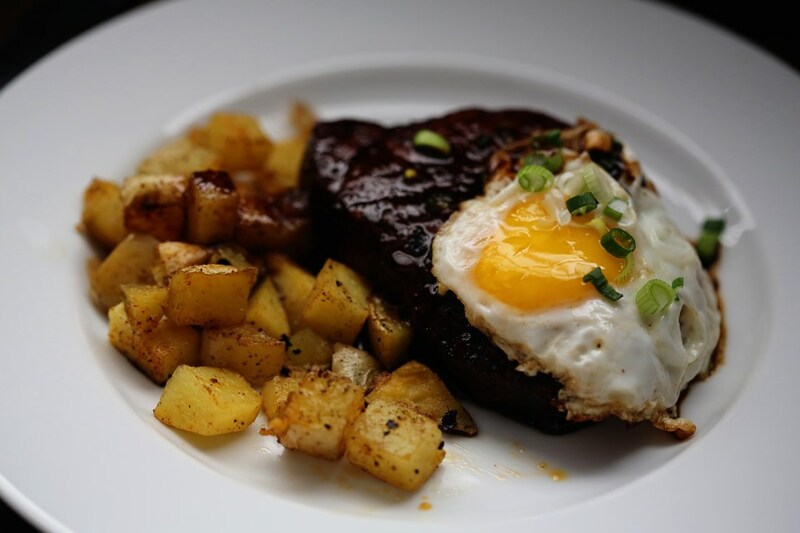 This entry was posted in Breakfast, Easter Weekend, Eggs are Awesome, Hearty, Side Dishes, Vegetables and tagged brunch, Easter brunch, fried eggs, fries, home fries, homemade fried potatoes, lunch sides, par boiling potatoes, pork chops, potatoes, seasoned salt, Serious Eats brunch, Serious Eats glazed pork chop. Bookmark the permalink.